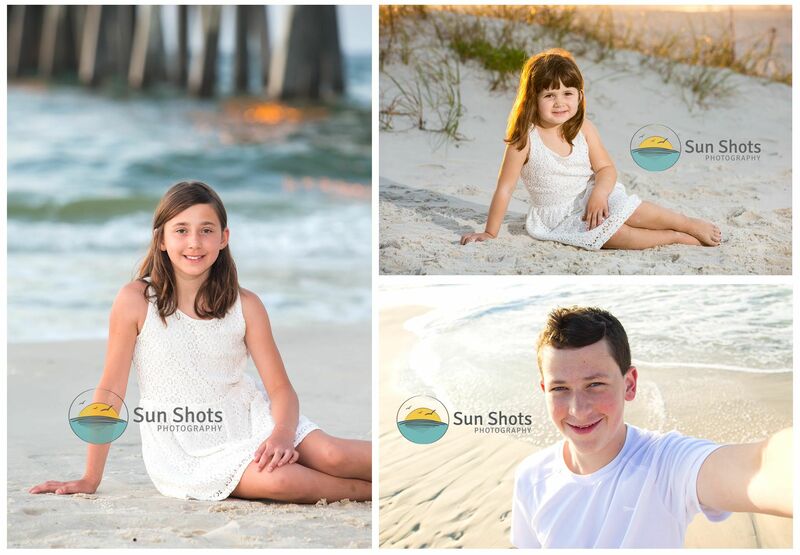 Last sunrise Gulf Shores Family Photography session this year, and what a success. My favorite sessions are always at sunrise. Not only is the beach completely empty, the light is always the best. Kids usually have a lot more fun too! These three were no exception to that rule. We had such a wonderful time and it really shows in their faces. The little one was so cute too! She just made our day. You could ask her anything, and she would respond with a huge grin followed by a YES... Turns out when we asked if it was her birthday, it probably was and she wanted to celebrate it on the beach. So off we went on a birthday adventure to hunt for pink and purple mermaids. Everyone was all smiles to that, like who wouldn't want to go to a sunrise birthday party at the beach in search of pink and purple mermaids. We were sure happy to have such a lucky invitation. Maybe we will even get an invite to her real party in October, haha... Thanks a ton guys for calling us to be your professional family beach photographers. We thoroughly enjoyed working with you guys. Have a great weekend at the beach, and please don't hesitate to call us if you need any help with your order. If your family is coming down to the beach this summer and looking for a professional photographer on the coast, please remember we are not scared to throw impromptu four-year-old birthday parties, where we search for pink and purple mermaids. We promise the kids will be none the wiser, and actually begging for the photography session not to end. See that's how we like to keep things at Sun Shots. We are all about fun and with fun comes perfect family portraits. Just click here, Gulf Shores Family Photography, for more information about your very own session. See you on the beach real soon!